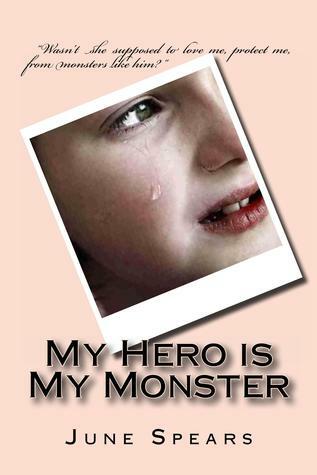 Ava is only four when her life is destroyed by a "Hero" who turned into the monster in her bed every night. Each night she cries to her mother, pleading for her to stay, only for her mother to turn a blind eye. Ten years of abuse culminate in Ava's attempted suicide as her father is lead away in handcuffs. Okay... so to my review now. I have to admit it's kind of hard to review this book. Actually, not just "kind of" but VERY hard. As it was hard and painful and made me angry to read this story. It was a tough story, and the sad thing is, it's a true story. It's been real. It was a tough read, and I'm grateful that it was a very short story, because I didn't know how much more of it I could have endured. I couldn't stand the Monster doing those things to a little girl, or even a teen girl. But mostly I couldn't stand the mother (if you can still call her that) accepting it, letting it happen, even asking her teen daughter to be the woman in the house and satisfy her dad. It made me so sick and mad I wanted to beat the hell out of that woman. The book was well written. And I could feel the pain and the desperation and the death wish of the girl.